The Other Side blog: AMAYzing May! I have been very remiss at posting this, but Troll Lord games is having their AMAYZing May celebration with all sorts of sales but in particular their Amazing Adventures line. 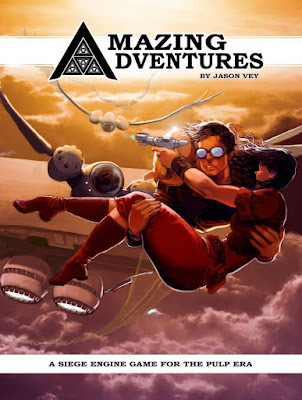 All as a build up to their new 5th Edition version of Amazing Adventures, which you can get a preview of now. I have not read it all yet, but what I have looks like fun AND it still retains the best qualities of both 5e and Amazing Adventures. Could this be my new modern game? A 5E take on Amazing Adventures?! Sign me up!! !